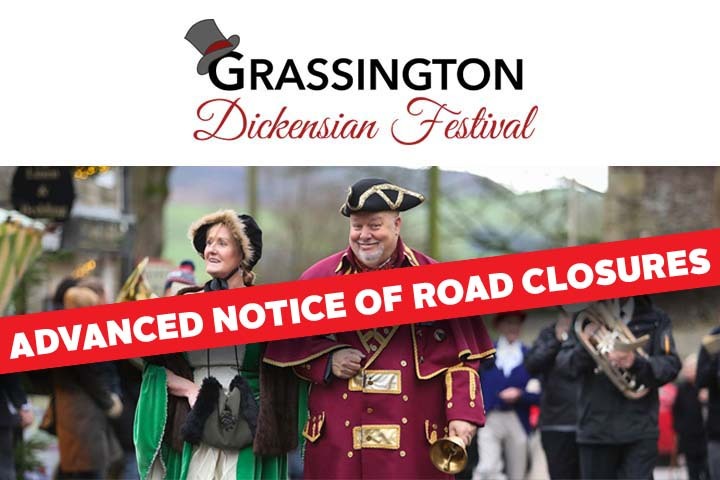 As you may know the Grassington Dickensian Festival weekends will soon be upon us and we would like to let you know about the road closures that will be in place within Grassington throughout the two weekends of the Festival: 1st - 2nd December and 8th - 9th December 2018. With the exception of emergency vehicles, no traffic movement will be allowed on the affected roads during these times. Alternative parking above the Town Hall will be available for residents and visitors who require their vehicles during these weekends. The closures are for the safety of residents and visitors and we thank you for your understanding, support and cooperation.